Holistic Harmony Inc. was founded by Debbie Reynolds in 2006. Our new location is south of Pine Lake across from South Pointe Pavilion mall at 7160 South 29th Street, Suite 7, Lincoln, NE 68516. As you walk through the front door we want you to feel completely relaxed in a holistic atmosphere that promotes healing of the mind, body and spirit. Our nurse practitioner shares her expertise in holistic care at every encounter, getting to the root cause of the problem so true healing can take place. Patients receive consultations based on the latest research in preventative medicine to balance the the body's endocrine system so you can feel good at any age. Holistic Harmony MedSpa serves the lifespan from children to geriatric, guiding patients to complete health in mind, body and spirit. Holistic Harmony MedSpa wants very interaction with our patients to emphasize holistic care by providing the most positive experience possible. 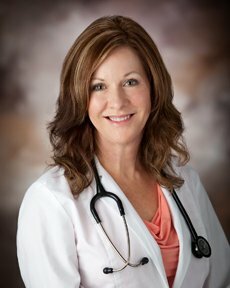 Our nurse practitioner, Debbie Reynolds, is board certified in psychiatry, family practice and functional anti-aging medicine. It is her philosophy to treat the whole person, specializing in bio-identical hormone replacement therapy, thyroid balancing, adrenal health, amino acid therapy for neurotransmitter and cognitive enhancement, nutritional testing to assure optimal nutrition, medical weight loss and aesthetics. We want to get you feeling good on the inside and give you aesthetic options so your outside reflects how good you feel! Our office philosophy is to keep things simple and make patients our priority. Due to limited staff we may not be able to answer your phone call while taking care of our patients. Always leave a voice message with a brief description about how we can help you and we will return your call within one business day, as we do check messages and emails several times a day. Our hours are by appointment only so we can best accommodate your schedule. For this reason, please call before you come to visit our office to make sure we can be present to attend to your needs. We have purposely kept our office small so Debbie can focus on guiding patients to feel amazing and enjoy life to the fullest! Debbie received her master's of science in nursing from the University of Nebraska Medical Center. Her specialty areas are Psychiatry and Family Practice. She trained in a dual track program that emphasized holistic care by treating the patient's physical and psychological needs simultaneously. She is board certified as a Psychiatric Mental Health Nurse Practitioner, a Family Nurse Practitioner and a functional anti-aging medicine specialist. As a holistic practitioner, Debbie offers a variety of services for all ages including medical and psychological diagnostic evaluation and treatment using the most effective holistic protocols. Debbie has over 30 years of experience as a healthcare professional with her focus on keeping patients well and preventing the onset of chronic disease. Carmen has been with Holistic Harmony since September of 2012 when the clinic first opened for business at the 48th and Pioneers location. She went on extended maternity leave in 2013 for the birth of her son and came back to work in 2015. Studying at Southeast Community college, she took courses in Business Administration, Accounting, and Marketing. 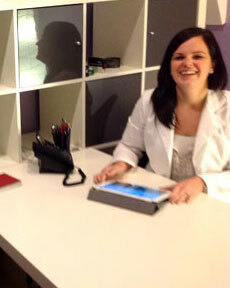 Carmen performs administrative duties, as well as checking patients in and out. As an Ondamed Technician she also conducts one on one Ondamed sessions. Originally from Germany, Carmen, along with her husband Matt who is a Nebraska native, moved to Lincoln in 2006. Jessi Has been with Holistic Harmony since November 2018. She studied nursing at SCC Lincoln and received her RN license in 2016. 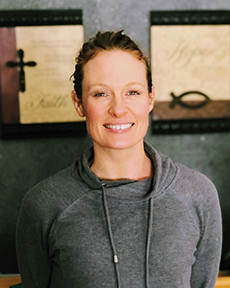 She then worked for 2 years at a skilled nursing facility in Lincoln, but her passion has always been in natural wellness. She is extremely excited to be on the preventative side of the healthcare spectrum. Jessi lives in Lincoln with her husband Rex and their 3 children.